A question I’ve been getting a lot is how to lengthen the Flint pants to full length. Great news my friends: it’s easy!! Do you love it when i say that? because i love saying it! How much you need to lengthen your pants by will of course depend on your own height and personal preferences, such as, do you want your pants to hit your ankles, be worn with flat shoes or high heels etc. If you currently have long pants that you like length of, i would recommend measuring the inseam and using that as a starting point. But i’m going to give you a few numbers as a guide based on what we draft for. 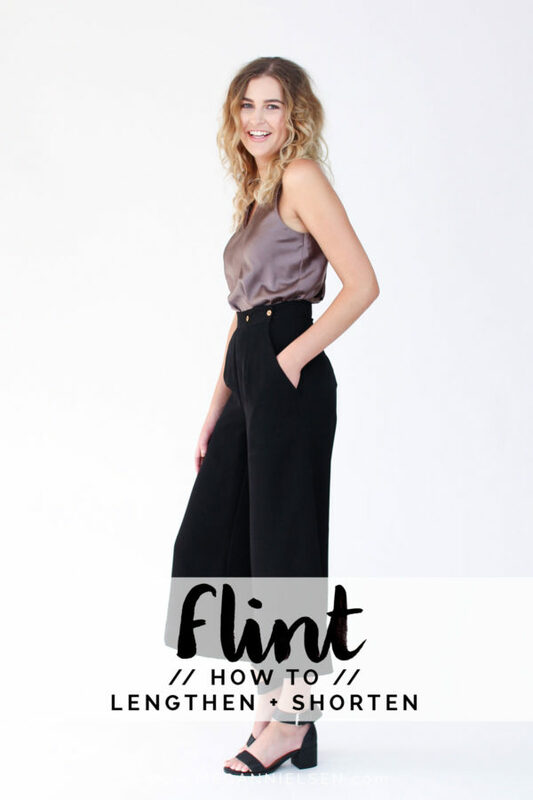 The Flint pants currently have a finished inseam length of 24″ (61cm). 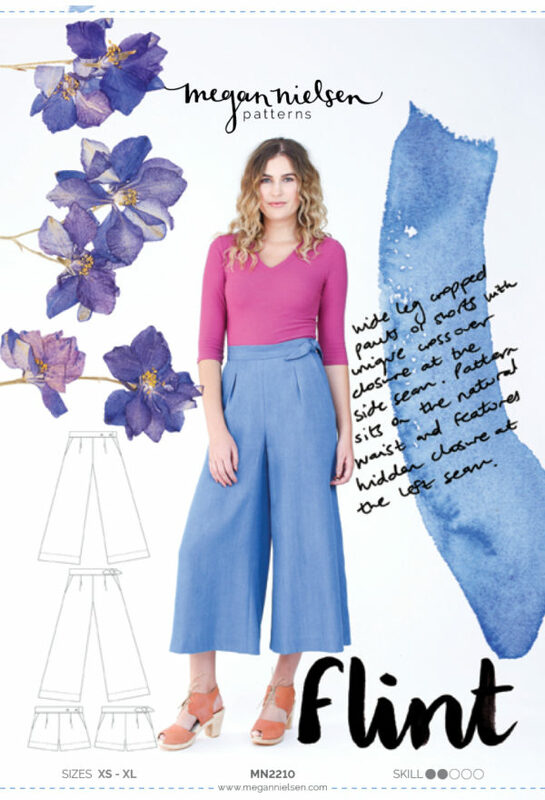 If you are roughly the same height as my fit model Ashleigh who is 5’9″ (175cm), then you would need to add 6″ (15cm) to achieve a 30″ inseam which is equivalent to a pair of jeans worn with flat shoes. To wear with high heels, you may need to add 9-10″ (22-25cm), depending on how high you wear your heels, and how much of your shoe you want covered. Your choices for actually altering the pattern itself include either lengthen at the hemline, or slashing and spreading the pattern in the middle. Given the pants are already very wide leg, I would recommend slashing the pattern at the shorts cut line, and spreading it there, rather than lengthening at the hemline which would result in an even wider pant. The method is simple. Trace your pattern to preserve the original. 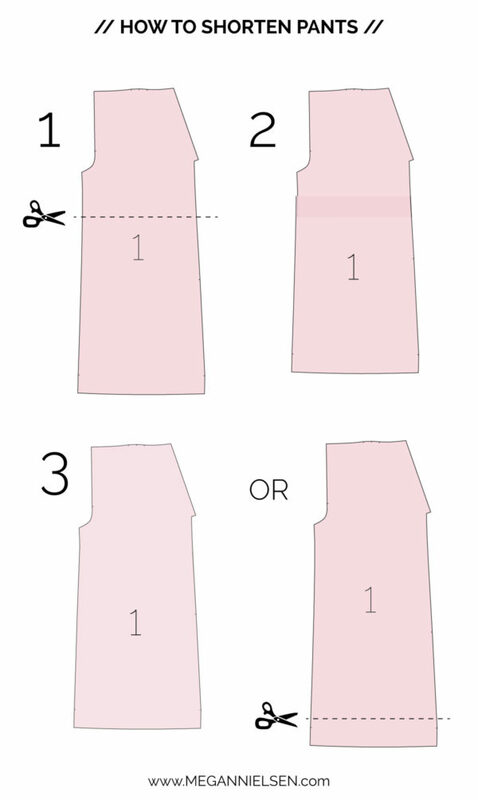 Cut along the shorts variation line and spread the pattern by your desired amount. Place additional paper in the gap and tape the pattern back together. 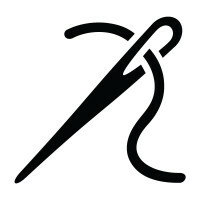 Draw in the seamlines, and cut away the excess paper. You will need to perform the same adjustment on the front and back pattern pieces. 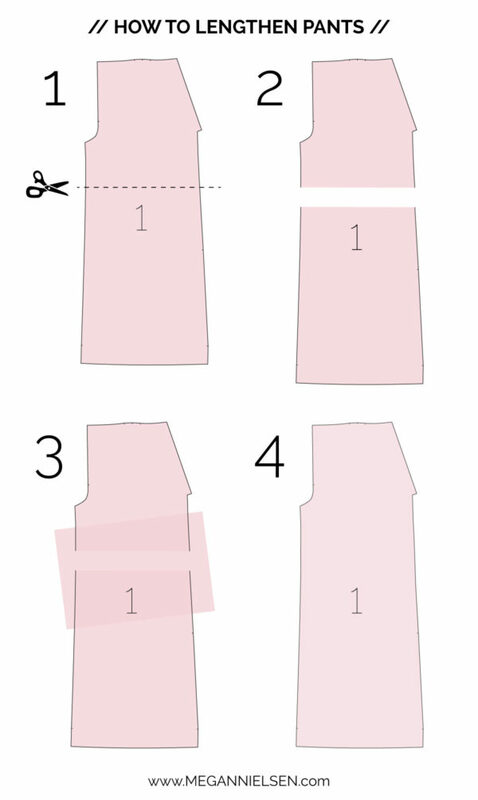 Similarly, to shorten the pants you would cut along the shorts line, then overlap the pattern by the desired amount, tape back together, then true the seamline and trim any overlapping paper. Alternatively, you could shorten the pants at the hemline if you would like to remove a fraction of the volume, and result in a straighter leg with less hem flare. Hi, thank you very much for all the information which adds so much value to a pattern. Would you mind providing some advice on how to take just some of the fullness out of the leg? I am short enough that the pants are already full length on me – which is fine – but I just think I need a little less fullness as a result because they don’t quite hang right.